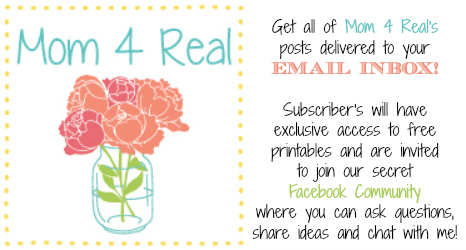 Succulents…they are all the rage right now! Not that I care what’s all the rage normally, but I LOVE succulents right now…although I do believe we called them hens and chicks when I was a kid. Don’t you remember your grandma having a pot with all kinds of holes in it with little plants sticking out…those were the old school hens and chicks or succulents…who knew? Anyhow…I love them so much that they are currently living in every room in our home and also on our patio. 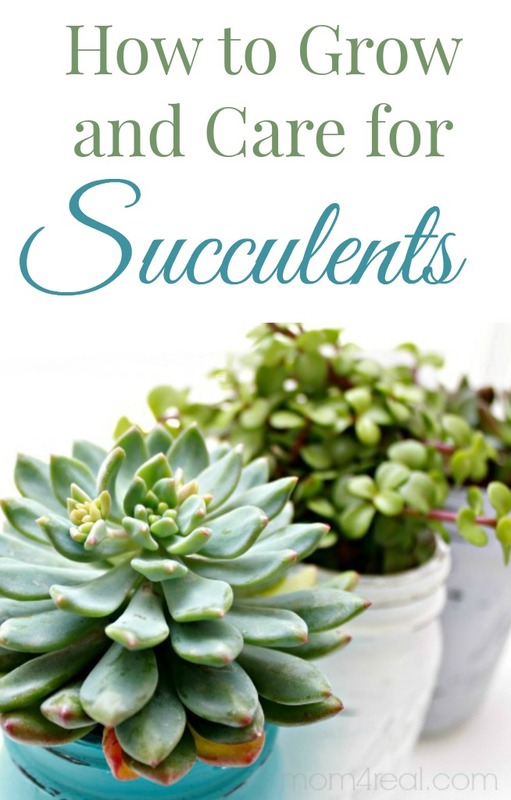 I’ve always had a green thumb, but wanted to make sure that I was caring for them correctly, so I thought I would share a few tips on how to grow and care for succulents. 1. Plant succulents in well draining soil made for cacti and succulents. If you can’t find that kind of soil mix, simply mix some perlite with regular potting soil. 2. Don’t over water succulents. They like it relatively dry, so only water them when your soil is getting on the dry side. 3. Water succulents a little more frequently in the spring and summer…bottom line, just be sure to check the soil often. 4. Be sure they are planted in a well draining pot. If they are planted in a container with no drainage, they will rot. 5. If you want to plant them in a non draining container, just be sure they have plenty of room at the bottom of the container for drainage. For the mason jar planters above, I filled the bottom of each jar with stones before planting them. 6. Place them in a sunny spot, but not direct sunlight…their leaves may burn if they are left in direct sunlight. 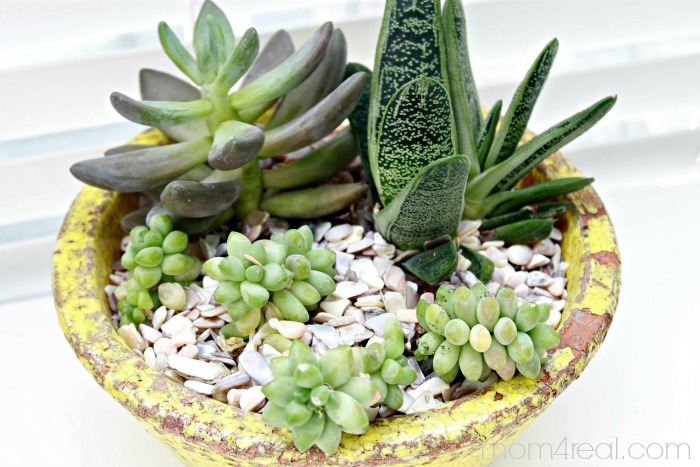 Follow these steps, and hopefully your succulents will flourish like mine have! As you can see above, I have them everywhere…on my office desk, my daughter Kate planted a Succulent Fairy Garden (we will be sharing that soon! 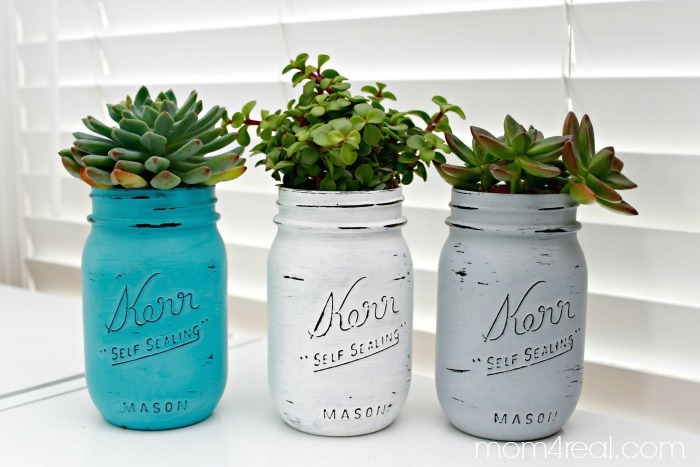 ), and some Mason Jar Succulent Planters that I recently shared! They are so stinking cute…I just want them everywhere! 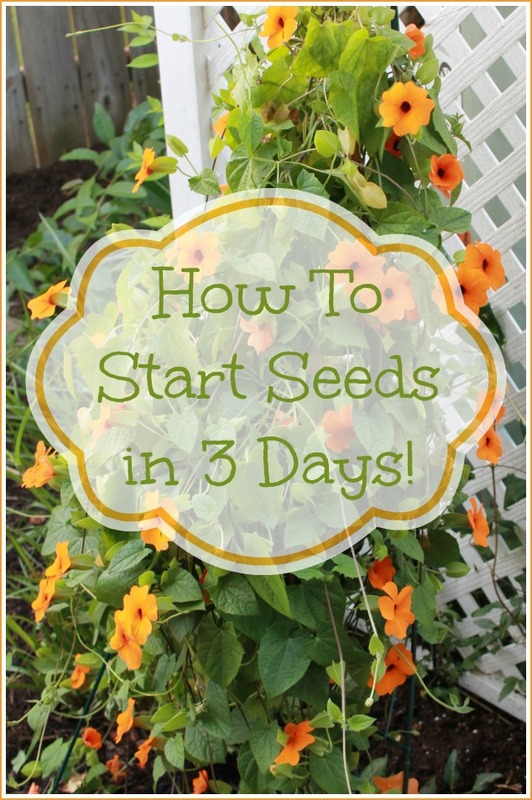 Also, check out my post on How To Grow Seeds in 3 Days!!! My MIL loves succulents. And fairy gardens. I’ll have to watch for your next post!! LOVE IT! i REALLT LIKE THE COLORFUL ROCKS/GEMS USED IN YOUR PICTURE. DO YOU REMEMBER WHERE YOU GOT THEM? Hi Jessica – Do you happen to know the names of the different succulents? I can’t seem to identify the ones I bought at my corner store, but I see both of them in your pics. Thanks in advance! 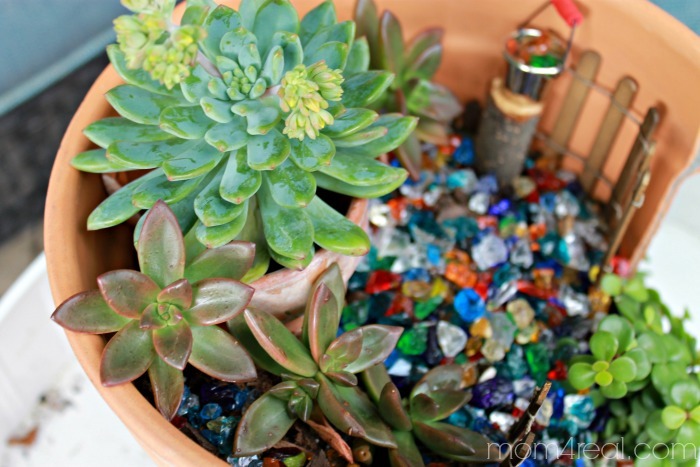 What do you use to fertilize your succulents? They look beautiful!! Any diy tips?